Smoke black gold grillz with polished shine. Choose 10k, 14k, 18k or silver and we'll coat it with black. Shown in 10K yellow gold. Add deep cuts to get the permanent look. 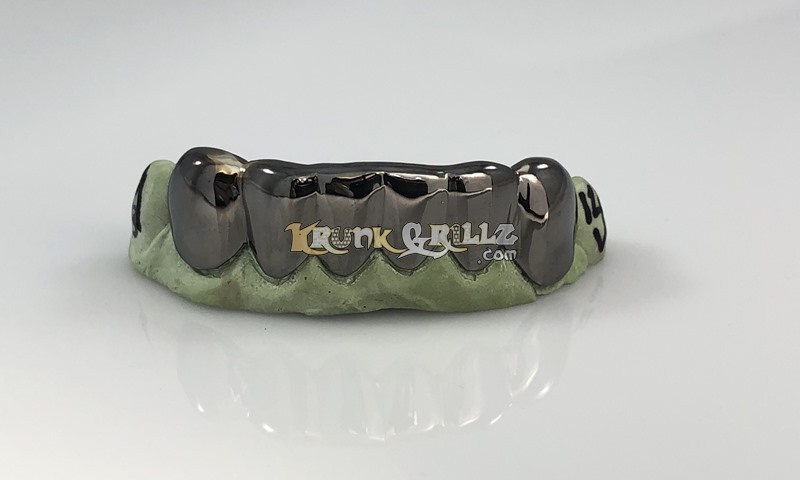 We can add the black coat to almost any of our grillz.